It’s not only the web companies in trouble. Dell, the largest computer manufacturer in the US is also tightening its belt. With the recent slump of the economy, Dell who was planning to expand its support operations in Ottawa has axed dozens of their call center employees as well as cancelling their plans to hire 1200 more. 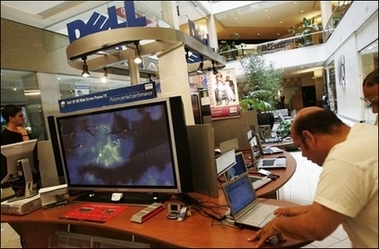 Moreover, Dell is taking their streamlining to their retail stores. It’s already been confirmed that they will be shutting down all of their 140 mall kiosks and continue selling theri products in other stores. Dell has firmly nestled itself in Wal-Mart, Best Buy and Staples so the closure of their mall kiosks won’t have much effect on their distribution. Similarly, Palm will be closing their retail outlets and continue to sell theri products in other stores. It seems that the slumping US economy is really taking its toll.